Smart home brands need smarter support solutions. Today’s connected households feature multiple smart home products, leading to increased WiFi usage and connectivity issues. 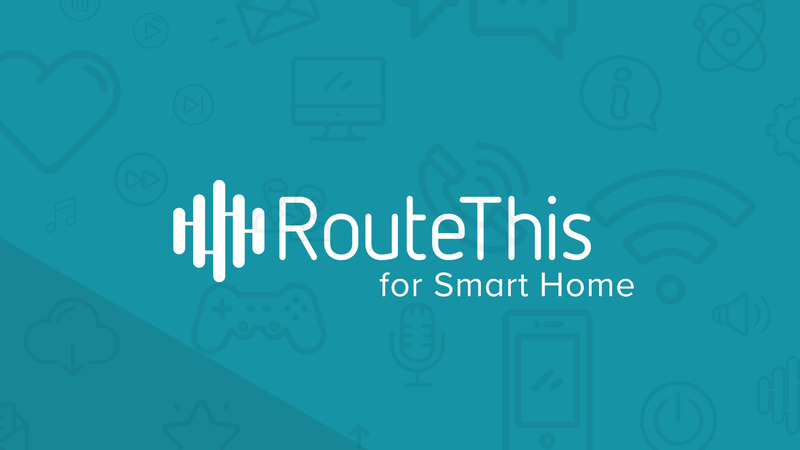 The RouteThis platform provides complete visibility into the home network with custom-built diagnostics for smart home brands. What issues are smart home support teams facing? The growing number of connected devices in homes today poses a great opportunity for smart home brands, but also comes with new connectivity-related challenges for their support teams. RouteThis is an innovative support solution that increases customer satisfaction and decreases costs through unique home network diagnostics and resolution capabilities. A single support solution for your entire connected product portfolio, creating a consistently positive agent and customer experience. Gain deeper insights into the customer’s home network including number of connected devices, connection quality, and more. Empower your agents with intelligent diagnostics, priority alerts, and guided resolution paths. Replace frustrating and error-prone Q&A dialogue with a simple mobile scan. RouteThis automates support workflows with AI. Reduce unnecessary product returns by diagnosing common WiFi problems with a simple mobile scan. Improve first-contact resolution (FCR) rates with automated workflows and optimized resolution paths. Increase CSAT by eliminating frustrating Q&A, reducing call times and solving issues faster. Learn how to reduce product returns. Have questions? Click here to book a personal demo. "We are thrilled to add RouteThis to our resource toolbox. Now, we no longer need mile long lists of step by step instructions that most users would likely refuse to follow. RouteThis will give our support personnel the ability to run through all the required troubleshooting tests - and diagnose customer’s Wi-Fi issues - in record time." "RouteThis has been an invaluable addition to our support team. We've lowered our AHT and RMA requests drastically since we've started using the platform. This is highly recommended for ANY tech company with users that need to onboard devices to WiFi." "RouteThis allows us to gain much more insight into the customer's internal network allowing us to visit a site with much more information going into a service call. In many cases, a problem can be identified remotely saving the need for a truck roll." Let us show you how RouteThis works. Copyrights © 2019 All Rights Reserved by Groupnotes Inc.
RouteThis revolutionizes the customer support experience for both agents and customers.